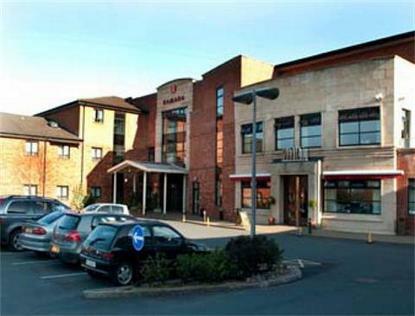 Set in the Lagan Valley Regional Park, the Ramada Hotel Belfast Benefits from a Picturesque Location, only a 10 min Drive to the City Centre, 120 Rooms, Extensive Leisure Facilities, Beauty Services, 3 Restaurants On-Site, Free Parking. It is an Ideal Location for a City Break for Families, Couples and Groups, Children Under 5 Stay Free. Largest Conference Facilities in Belfast with 14 Conference Suites and a Business Centre. The Hotel Boasts Superb Leisure Facilities in LA Fitness Including a 20m Swimming Pool, Sauna, Steam Room, Solarium, Jacuzzi, Large Gym, Spin and Aerobics Studios. The Omni Centre at the Hotel is Irelands First Ayurveda Centre. Here You Will Discover a New World Where No Stone has Been Left Unturned in Bringing You What are Quite Probably the Most Powerful Rejuvenating and Health Rehabilitating Therapies Available Today. All Rooms are Ensuite and are Fully Equipped with Complimentary Tea and Coffee Makers, Wheelchair Accessible, Air Conditioning and Workstation in Room with Leather Office Chair and Modem Points. Rates include, Fully Cooked Breakfast.